On Sunday, an unbelievable team of individuals came together to bring my collection into fruition. 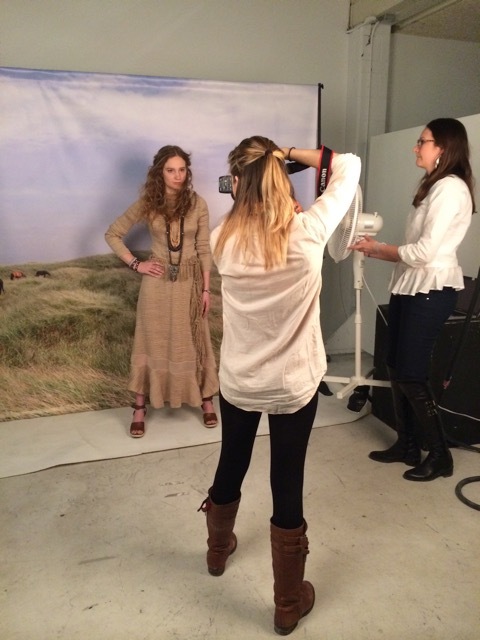 With the magic of hair, makeup, lighting, a model and a sensational support team, we captured the spirit of Sable Island in spite of the snowy streets of Toronto. My hope with this shoot was to present the five curated looks, while also illustrating the versatility of the pieces by dressing them up and down. 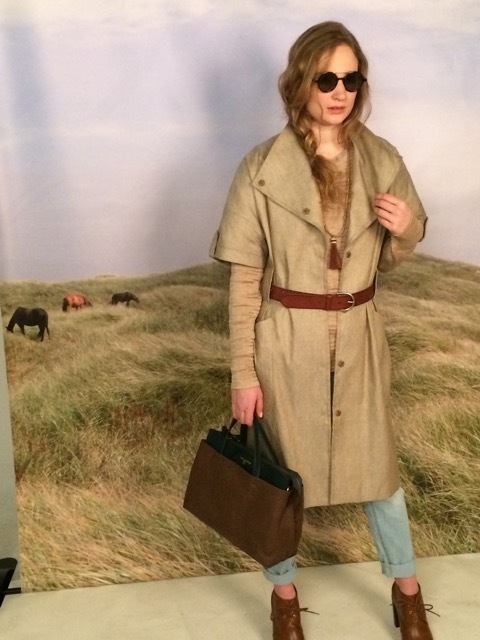 I ended up mixing and matching twelve looks in total that collectively shared the wearable and ever-transformational story of Sable Island. Somehow, we managed to accomplish this – and five hair looks – in a mere four hours! Of course in order to do all this, my days were busy with ample prep work. To style the 12 looks, I pulled shoes, jewellery and accessories from stores (and my closet), and I created a few scarves out of some extra fabric. As the looks came together, I packaged it all into garment bags so that we were ready to go on Sunday at 9am! We had the studio from 10:30am – 3pm, which meant the first hour and a half was devoted to hair and makeup. My friend Marly Levene connected me to Laurel Kotewicz from the Wire Princess for hair and makeup - and she was sensational. She transformed the hair with each outfit, transitioning it from a tight bun to a wild horses mane as we went. The makeup was as soft and dewy as I had envisioned, with natural lips, groomed brows and flawless mascara. My model, Leslie Schumacher, was of course instrumental to the process. Her hair naturally embodies the juxtaposition of Jane Eyre and wildness, and she totally captured the spirit I envisioned. I was delighted to have my photographer/friend, Leigh Sellner, capture yet another shoot of mine. She currently studies Photography at Sheridan College, and has been documenting my shoots along the way. I had created a backdrop with two of my Sable Island photos – one of fog and sand, one of grass and horses – that, when coupled with a fan and lighting, created pure magic. At 10:30, we turned on the music, set up the equipment, got Leslie in her first look and began shooting. With the wonderful support of my parents and Marly, I spent an extremely full (and unforgettable) day styling Leslie, controlling the fan, and capturing the transformation of Jane. Now, I just have to wait for the final pictures! 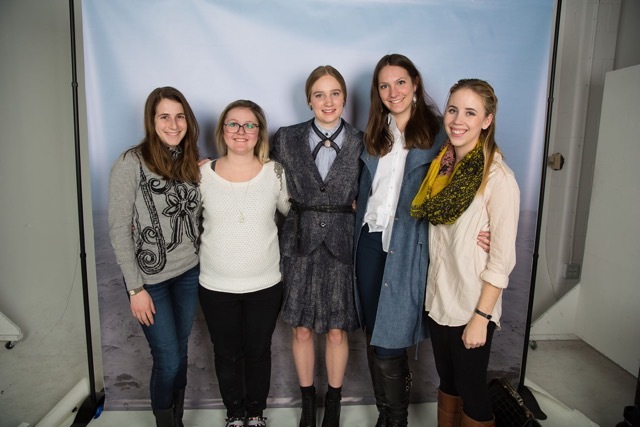 I owe an enormous thank you to my incredible team who helped bring my vision to life! Next up? The fashion show!